One of a kind, breathtaking views from this beautiful Redlands home! Independence Monument perfectly framed through large Master Suite windows! 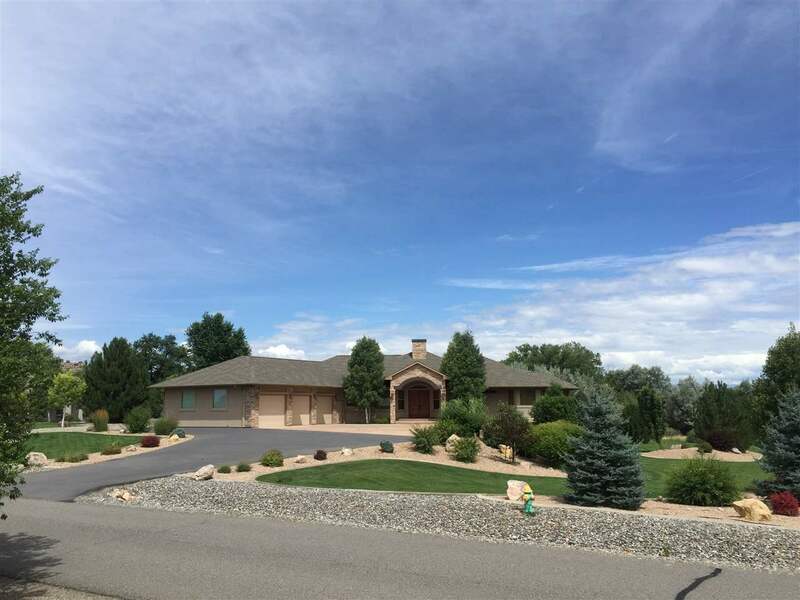 Valley Views all the way to Mt Garfield & the Grand Mesa from the living & entertaining spaces! A few of the alluring details include main-floor master & private guest suites along with formal dining, nook & office. The nook & kitchen walk out to the back east-facing patio, 40x20 in-ground pool with slide & expansive lawn. The walk-out lower level is wonderfully designed with a large living space, kitchen & theater room; work out room, multiple study or finished storage areas, two bedrooms, two full bathrooms, a second laundry area & Wine Cellar! Finally, the oversized three car garage with storage & an enclosed stairway to the lower living area is ingenious! Contact listing agent for more!